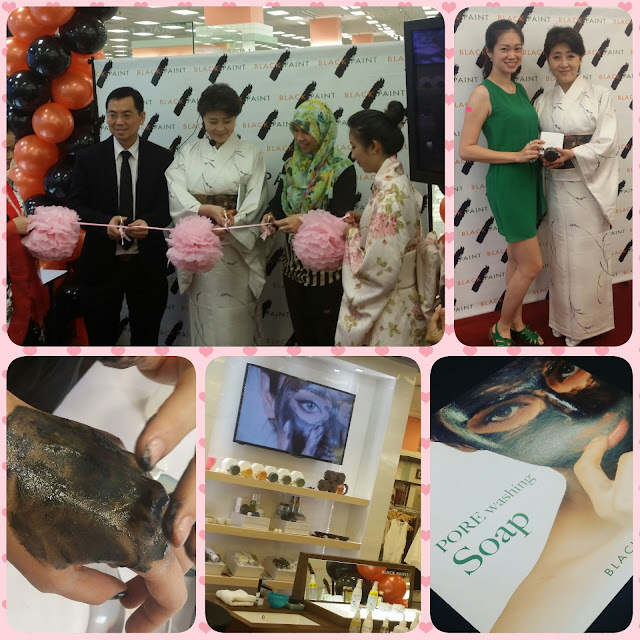 Congratulation Black Paint, @ its launching AEON Bukit Tinggi Klang. BLACK PAINT is an organic skincare brand established in Kyoto 15 years ago by Myyuki Maeda. She studied modern physiology and bacteriology as well as traditional natural healing systems around the world to save her daughter from an incurable disease. 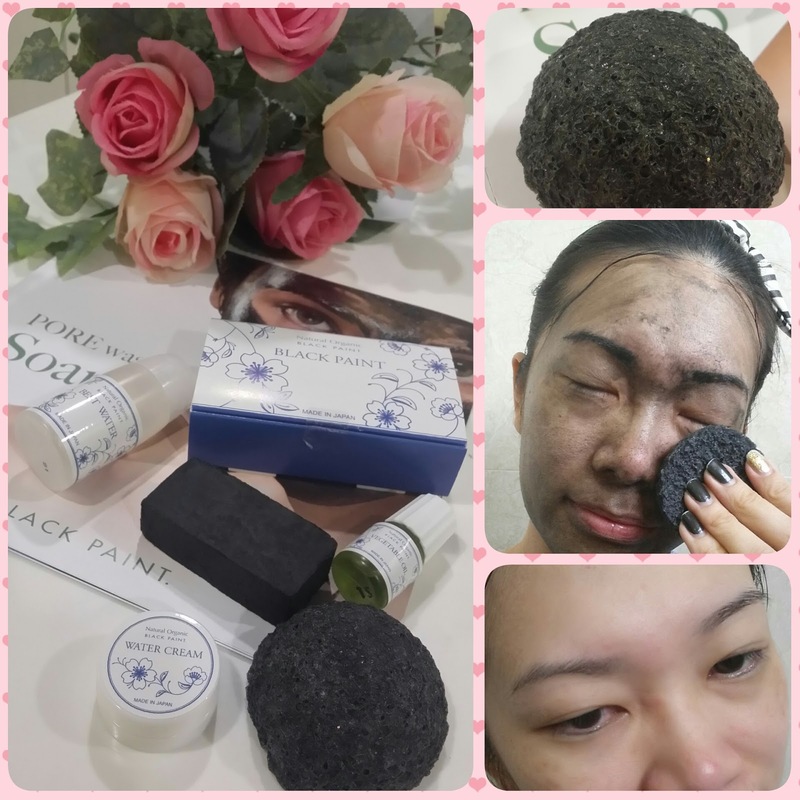 The best Seller is the pore cleansing hand-made face soap with Kishu Bichotan Charcoal (White Charcoal) cleans pores and removes oil and dirt thoroughly but gently without stripping away skin’s essential moisture, leaving skin fresh and silky smooth. My Verdict: I have seen lots of great experience from other blogger with this products, but this doesn't seem to suit my sensitive skin. I will need to use the vegetable oil to moisten the skin before using the black paint soap. Else, using the soap itself will ending up drying the skin. In comparison with some other charcoal soap, The texture of this is softer and not foamy, hence, better to use. One of the drawback is upon the soap getting to the eyes, its stings. It left some redness on the forehead, and cheeks. The redness on the face faded after 10 minutes for me. Love the Best Water ie. Toner, as it left the face fresh. Water creams is a 70% water based cream and its moisturizing and can act as a make up base but colourless. As for the black soap, you will need a tray to dry. You need to hang the black sponge to dry for hygiene reason too. Conclusion, If you are like me who are on the go, and need a quick fix, this product can be use at night instead - as wouldn't want the redness to be there even for seconds.